Lindrick Golf Club is remembered passionately because it was here in 1957 that Great Britain beat the USA to win the Ryder Cup. Victory had been a long time coming; the last time the home team had defeated the dominant Americans was way back in 1933 at Southport & Ainsdale. After the 1957 Lindrick triumph, the Ryder Cup remained firmly in the grasp of the USA until 1985 when, at the Belfry, a combined team of GB&I and Europe managed to wrestle the cup from the Americans. Lindrick Golf Club played host to the 1957 Ryder Cup matches between the USA and Great Britain. Team Captains were Jack Burke (US) and Dai Rees (GB). Yorkshire industrialist, Sir Stuart Goodwin, financed the British Team to the tune of £10,000 and the team selection process utilised a new points system. The result was a win for Britain despite a dominant American 3-1 lead in the foursomes. A 6 ½ to 1 ½ result in the singles was more than enough to seal the first British win in twenty-four years. GB 7 ½ - USA 4 ½. The Ryder Cup was played at Thunderbird in 1955 and at Eldorado in 1959. Clearly, the Ryder Cup put Lindrick firmly on the golfing map, but the Sheffield and District Golf Club, as it was originally called, was actually founded in the 19th century, 1891 to be precise, when a course was laid out by Old Tom Morris and Robert Black ‘Buff’ Wilson. In 1894 another nine holes were added, with the direction of play reversed. Tom Dunn then made some improvements in 1897. Harry Colt was next to be consulted, followed by new holes and a revised layout from Willie Park Junior in 1907-09. A couple of years after this, Alister MacKenzie made further improvements and suggested many others. Later modifications were carried out by Fowler & Simpson in 1923, then, in more recent times, Fred Hawtree, Donald Steel, Cameron Sinclair and Ken Moodie have all altered the layout. 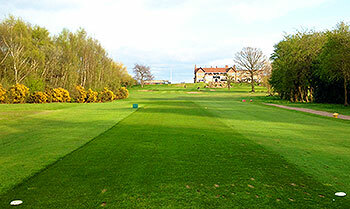 Lindrick Golf Club is laid out on prime common land and the excellent turf has a mixed heathland and moorland feel. It’s a wild but picturesque course with silver birch trees and gorse lining many of the fairways, which are generous and immaculately conditioned. The greens are subtly borrowed, lightning fast and well protected by bunkers. Accuracy, rather than length, is critical at Lindrick. We're perhaps stating the obvious here, but it's much more desirable to play from manicured fairways than dense rough. There are a number of strong holes, especially on the back nine and the 4th, a short par five of 478 yards, is certainly fun and memorable, with a downhill drive and a blind approach to a hidden green, nestling in a hollow. In a more up-to-date publication, the 18th is featured in the 500 World’s Greatest Golf Holes, a 210-yard par three. It’s unusual to end with a par three and cruel to have such an exacting final tee shot, especially if the match is finely poised. As with so many golf courses of this era, Lindrick, measuring a little over 6,600 yards, is simply not long enough to host today’s professional men’s tournaments. However, in 1966, it was the venue for the British Masters with Neil Coles emerging as the eventual winner and, in 1977, Vivien Saunders took the Women’s British Open crown. Greg Norman somehow took 14 strokes at Lindrick’s 17th, a par four,during the final round of the 1982 Martini tournament and then went on to win the British Masters by eight stokes at St Pierre a few weeks later. During the winters of 2015 and 2016, Ken Moodie of Creative Golf Design was busy enhancing various features on the course, building new championship tees, introducing strategic fairway bunkers and reshaping numerous greenside bunkers, which resulted in changes to eleven holes in total. It was recently discovered that Alister MacKenzie was involved in the construction of the course, working on the layout during 1912-13, when he designed five of the existing holes, including the iconic 18th. He also prepared a 16-page handwritten report on the course and many of his proposals were subsequently actioned. Lindrick hosted the English Women's Amateur Championship in July 2017 (won by fifteen-year-old Lily May Humphreys), to add to an impressive list of professional and amateur tournaments it has hosted down the years, including both the Ryder Cup and the Curtis Cup. This was my first visit to Lindrick and although I was aware of its history (Hosting the 1957 Ryder Cup and the 1932 Curtis Cup) I knew little about the course itself. The course is a joy to play with a mixture of left to right and right to left doglegs Lindrick tests your course management from the tee. It also has some great elevation changes such a the downhill second shot to hole 4 and the approach shot uphill to hole 13. The par threes are no pushover either with small raised greens which are well protected by bunkers and run off areas. Lindrick’s greens have some nice movement through them and although when I played they were not at their best they still rolled at a decent pace. As with many courses this year Lindrick’s fairways have suffered but I am sure with a little luck with the weather they will soon recover. If you want to play a classic heathland course Lindrick would be a great place to spend a day. It was like returning to meet an old friend when I played at Lindrick last week – and I did indeed meet up with an old friend, club archivist Graham Mann – nearly three years after my last game here. Weekend tee times for visitors at most clubs are generally pretty scarce but when you have fewer than three hundred members on the books, there’s every chance of getting out on the course with little trouble in the afternoon. Having recently admired the bunker renovation that architect Ken Moodie from Creative Golf Design has been involved in at West Surrey, I knew I wouldn’t be disappointed with similar work he was carrying out here and, sure enough, the ongoing upgrade of the sand hazards (and other course improvements such as adding tees and installing strategically positioned fairway mounding) looks very good indeed. Lindrick’s one of the few courses in Great Britain & Ireland to have hosted both the Ryder Cup and Curtis Cup, and the English Women’s Amateur Championship was held here just a few months ago so the club is still regarded as a top venue for prestigious golf tournaments in the modern era. Another recent accolade to come Lindrick’s way was membership of the Alister MacKenzie Society of GB&I, having discovered the good doctor worked on the course during 1912-13. The course was in great condition when I played, with the fairways in particular playing firm and fast. It’s hard to believe such underfoot conditions could exist out on the course when looking at the lush surrounding farmland but the gently undulating moorland/heathland terrain of Lindrick Common is actually a prime place to site an 18-hole layout – and once the current course improvement program is finished it’ll look even better. I played Lindrick on a calm April afternoon, after a morning round at nearby Notts. Lindrick is a classic British design, featuring several blind shots, redan greens and other features sadly missing from more modern layouts. Course conditioning was excellent, with wonderful greens (firm, with true reads). The holes were routed through varied landscape, and included a number of memorable challenges (the blind approach par five #4 and the lengthy par three #18 are examples). While I'm happy to play these uncrowded courses before the touring golfing public "wakes up" to their quality, visiting Americans are crazy to miss playing classic English layouts like Lindricks, which has hosted both the '57 Ryder Cup and the Ladies Open. With more than 200 golf courses across Yorkshire Lindrink sits very close to the tip of the iceberg when it comes to discussing the best of golf in the White Rose County. It’s one of several fine courses that support the undisputed top trio of Alwoodley, Ganton and Moortown. Originally named ‘The Sheffield & District Golf Club’ (look out for the old tee markers) Lindrick certainly compares comfortably alongside the likes of second tier bedfellows such as Huddersfield, Pannal, Fulford, Halifax, Sand Moor, Cleveland and Hallamshire. The main advantage that Lindrick has over the majority of other venues in this part of the world is the exceptionally firm and fast ground conditions that it boasts. It was brilliant to see so much roll on the ball in the early season and I suspect that the members enjoy good quality golf for 12 months of the year on this lovely parcel of heath and moorland turf that stretches out across Lindrick Common. As you might expect there is an abundance of gorse, which was in full bloom during my most recent visit in April 2017, and this certainly adds to the challenge along with the tufty rough lining several of the fairways. The silver birches that flank many of the fairways frame the holes beautifully whilst the property is also a location of Special Scientific Interest (SSI) which recognises the course as containing some unusual and rare examples of the UK's flora and fauna. Lindrick often finds itself hosting the County Amateur Championship and is undeniably a very fine test of golf, especially at the elite amateur level. Due to the firmness you are continually asked to work the ball, whether it be from the tee or into the greens; very rarely does the ball end up close to where it lands. Although the fairway bunkering from the tee is a little bit hit and miss the approach and greenside traps are extremely impressive and often act as the main defence for a hole. And whilst the penalty for missing on the wrong side is not as severe as some courses of similar ilk there are certainly a few ‘no-go’ areas. The greens fit particularly well with their surrounds and the contouring of the putting surfaces is absolutely superb; from 100 yards and in Lindrick is a true delight and undoubtedly its strongest feature. I wouldn't class Lindrick as one of my personal favourite courses but overall there are many more positives than negatives and located mid-way between the M1 and A1 it’s a very accessible venue and one I would suggest you seek out. Played in April 2016 as part of a short golf trip. Received a friendly welcome in both the pro shop and the bar, which always makes a difference for the visiting golfer. Very pleasant and picturesque course in good condition, not overly long by today’s standards but still a good test for any golfer as evidenced by Danny Willet being a member. Not in the UK’s top-100 according to this website but would be fairly well up the list in most golfers 2nd 100 I would have thought. Throw in the Ryder Cup heritage and Lindrick is well worth a visit. What a fantastic golf place, from the moment you drive in thru the electric gates you see the glorious clubhouse and beautiful 18th hole back up the hill. You get a buzz straight away and understand that you've just entered a special little place. The new driving range and chipping facility is one of the best you'll find in England.. You can see why the likes of Danny Willett and Lee Westwood practice here. From the moment you step on the elevated 1st tee overlooking a sea of bright yellow gorse, it gives you goosebumps. Onto the golf course, firm/fast and in immaculate condition for this time of year. Only 6600 par 71 off the backs so not overly long. The wind plays a factor on this course, with the fast and firm greens meaning tough pin positions were created just over bunkers. Very links style, play for position on plenty of the Par 4s. Must admit the 4th Par 5 is a cracking hole.. Until you get to the green (not a fan of these blind approaches), this is the same as Alwoodley's 17th which is another controversial hole. However there are some beautiful holes on what is a very very good layout, my personal favourite being the 12th, even though I triple bogied it. This home typifies Lindrick, short right fairway where position is key off the tee. Approach is played from an elevated fairway where you feel as though you are in the middle of an ampitheatre with the towering gorse bushes lining all the way down the fairway and around the green. Visually a stunning hole. Holes 14 and 15 are very bland and are the only negative and what is a special little golf course. You then finish on the brutal yet fantastic Par 3 18th, 200 yards uphill into the breeze into a tiny elevated green surrounded by numerous pot bunkers with the famous clubhouse framing the back of the green at the top of the hill. From a personal point of view Ganton just about edges it for layout simply because Lindrick has a couple of weak holes, but based on condition Lindrick is way ahead but both are special places to play. A joy to be able to tick another bucket list course off, hope everyone gets to enjoy Lindrick as it's a memorable experience! If you thought Lindrick was good in April 2015, you should see what strides have taken place this year since your visit and since the appointment of our new Course Manager. He has been doing a phenomenal job. I am proud to be an officer of the Club, and thank you for taking time out to share a fair and comprehensive review with us all. By the way, the 14th and 15th holes are undergoing changes to add definition to them, along with a raft of other additions to the course which are now ongoing through the good offices of Ken Moodie, our Course Architect. To Danny Willett & Lee Westwood, you can also add Matt FitzPatrick & Mark Foster who are also Lindrick members. Hope you come back soon and enjoy us again. Best regards, Graham. As a member of a golf club in the North Leeds area and a visitor of the brilliant Moortown and Alwoodley courses nearby on numerous occasions, I'd been hoping to play at Lindrick for some time and I finally got my opportunity with my family of four on the 10th April. We stopped off here on the way back from a trip to the Brabazon course at The Belfry which we thought was good fun, and we knew to expect a stark contrast in course design and type. We arrived half an hour before our tee time and spent some time chatting to a senior member who immediately made us feel very welcome and chatted to us about the course. The young pro in the shop was very pleasant and made sure we had everything we needed before our round. He was chatty and informative and this kind of thing helped to make our experience all the more enjoyable. The greens were also unbelievably true and smooth to putt on (among the best I've putted upon I would say).The course has a huge amount of gorse lining each fairway and this makes many of the holes seem tight and places a premium on accurate driving; in particular on the blind 5th hole, and the 8th and 12th holes. The 4th is a delightfully quirky hole and deserves a mention - from the tee it appears as though it is a relatively straightaway par 5; a drive that doglegs from left to right is followed by a second shot which needs to be laid up in the correct spot or hit with supreme accuracy to a tiny green you cannot see anything of. When you approach the green the ginormous flag comes in to view and you realise the green sits 30 foot below the level of the fairway underneath a rock face. Certainly a hole where you need to know where you are going! The rest of the holes meander through trees, strategically placed bunkers and huge expanses of gorse bushes which all make the course visually pleasing and tough. Although the course is relatively short, you need to make sure you bring your best game off the tee and a good touch around the greens too as it is tough to stop the ball near the flags! The 18th being a par 3 is an interesting piece of course design but it is a strong hole and only adds to the peculiarity and fun nature of the course. At around 165 yards uphill with the green sitting right below the grand clubhouse, it looks fantastic. We played it in to a slight breeze and even a sweetly struck 6 iron could not make the green; it plays longer than it looks and an up and down is by no means a guarantee here, with several bunkers and a green that slopes relatively severely from back to front. The rest of the par 3's are also a fantastic mix of holes I might add- the short links-like 6th which is played over tall grass, scrubland and gorse to a small green guarded by deep bunkers being a particular highlight.Overall the course is a delightful, off the wall mix of heathland and moorland holes which at £55 each, seemed good value for money considering the sheer quality of the course. The only negative thought I had about the course whilst playing is the close proximity of the main road nearby, which can be heard from almost all parts of the course. However the routing of the course outweighs this criticism and when you are constantly taking in aesthetically pleasing course design, this 'criticism' is soon forgotten about. This is a course which can definitely rival other heathland courses in England for spots higher in the England and GB/I course rankings. It probably isn't as tough as those courses above it in the list such as Ganton and Moortown, but with its springy turf, fast greens and running fairways, it is well worth a visit. Having just completed the personal challenge of playing all fourteen Open courses, a visit to all fourteen European Ryder Cup venues is next on my golfing agenda – and following my game at Lindrick a couple of days ago, it’s nine down,five to go before that particular quest is fulfilled. Unlike all the modern 18-hole layouts that now host the Ryder Cup since the Belfry was first included in the rota, you’ll find hardly a hint of corporate golf at this place because Lindrick is unashamedly an old-fashioned, “proper” golf club, where the club’s century-old golf course matches the traditional values found in its lovely old clubhouse. That’s not to say the committee at Lindrick has failed to move with the times because over a million pounds has been spent in recent years constructing a couple of tunnels under the busy main road that separates holes 12 to 17 from the rest of the layout. Golfers also have the use of an extensive driving range, short game area and a couple of other practice facilities within a sizeable 190-acre property. Lindrick’s main drawback as a championship venue is its lack of length (with back tees only extending to a relatively modest 6,606 yards) but as a regular member’s course - where overall yardage is never that important - it’s an absolute delight; a mix of heathland and moorland holes - that only reveal themselves upon arrival at the next tee - with wide, tree-lined, springy-turfed fairways leading to greens that were stimping at a very impressive 11 when I played. The short par five 4th is one of the quirkiest holes that you’ll ever come across, one that that would never be built today. Playing towards a sunken green that sits in a hollow beside the river Ryton, it’s a fun hole that will divide opinion on its architectural merits but I thought it was a terrific hole which had me chuckling, much as I’m sure golfers do when playing their blind tee shot for the first time at “The Dell” in Lahinch. On the back nine, the new 12th (built in 1990 for health and safety reasons due to the road) is a tight, short par four that fits seamlessly into the new course routing and it’s immediately followed by one of the strongest holes on the course, a lovely left doglegged, uphill part four that’s ranked stroke index 1 on the scorecard. Very interestingly, the round concludes with a long par three which plays to a seriously elevated green that’s surrounded by half a dozen deep bunkers. Slightly unconventional it may be, but this hole fits the lie of the land perfectly and I’m sure it’s been either a card wrecker for many a good medal score or a heart breaker when settling a tight matchplay game (as my playing partner and guide for the round Graham Mann will no doubt testify, missing his par putt to half our match). Lindrick currently lurks just outside the current Top 50 for England in the course rankings for this website but, if a few improvements were made to a couple of holes (such as the par five 16th), then it really has the potential to make its mark in the GB&I Top 100. This is a very fair and informative summary. Just one thing though. I didn't miss my putt, I was just a bit unlucky !! Haha. Now that our issue of tunnel crossings through the A57 trunk road are behind us our committee will give the club's best efforts to provide our members and our visitors with a course and facilities that sits well inside a Top 50 as it is possible for us to achieve. We are also especially proud of our many and varied practice facilities and driving range, for instance, which appear to get little recognition. Just played Lindrick & was blown away! What a fantastic course, no lakes and mensa type bunkers just really tough in a traditional way historic courses like this were built back in the day. The greens were the best I have played all year & now they have two tunnels so no more crossing that main road. We were well looked after off the course as well so a great day and a real bargain at £75, I'd be paying nearly twice that in the Surrey belt for much inferior courses! Played recently on a perfect Summers evening - this is probably my fourth visit over the years and it's a place I always look forward to visiting.When you arrive, the clubhouse and locker rooms have a very 'traditional' feel about them, but its all very comfortable and all the memebers we met were extremely friendly. A quick visit to the sizable practice facility before we started - only downside was having to hit off mats, before you make your way to the first. A 400 yard par 4 to start with reasonably generous fairways but it still needs a couple of decent shots if you want to get up and running with a par. The next hole of note is the 4th which in my opinion is the worst hole on the course - plays about 450 yards off the yellows but it's a par 5. The problem lies with the green which is set in a deep bowl, with a steep rough covered bank just short and a brook over the back. In my opinion it's very difficult to get on it two unless you have hit a tee shot approaching 300 yards or unless you run it down the bank and get lucky. This is followed by the 5th - a strong par 4 with a blind tee shot up the hill - criticism here is that they have grown the rough in on the right at driving distance - so unless you play here regularly, it's easy to lose a ball as one of our group did. There follows a nice mix of par 3's and 4's before you cross the A57 to the 12th. From here, you encounter what we thought were the best run of holes - 13th ( SI1 par 4) and 14th a long straight away par 5 being the stand out ones.You finally cross the road to 18 which is a par 3 playing around 200 yards - good luck if you need a par or better to complete a good round, because if you miss what is a very narrow green you will struggle. Overall conditioning of the course was excellent - green surfaces very good but a little on the slow side ahead of major competitions they have coming up. Fairways in the main were reasonably generous, but if you do get off line the rough was extremely penal - we found very few balls in the rough.Overall a really good place to play with a very reasonable green fee for a Top 100 course. A lot of people don't like the 4th, but somebody very famous once said, that in no circumstances should it be changed, and they were right, there is no other hole like it on planet earth, and there never will be, long may it continue.